It seems that Santa made a stop last night at the Nature Centre! 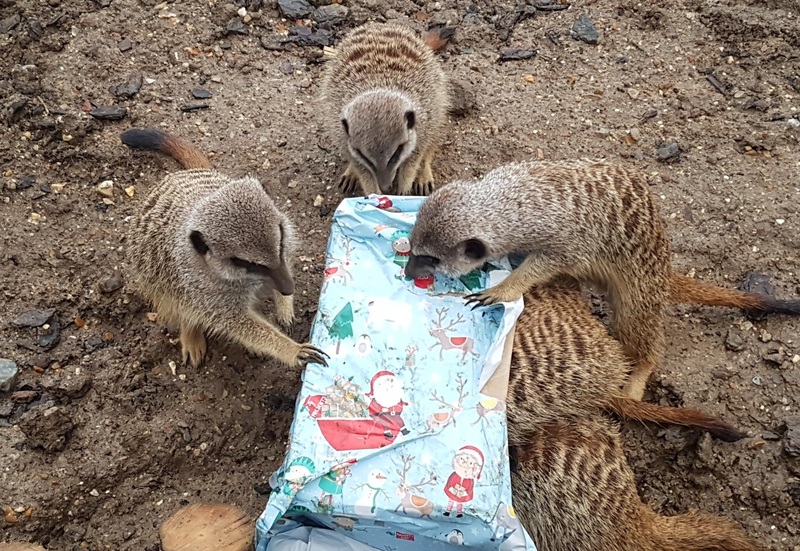 The animals loved unwrapping all their presents! Happy Christmas everyone! It’s important to make sure that our animals are stimulated through ‘enrichment’. Animals in captivity should be able to carry out their natural behaviours, such as foraging for food. With a little help from Santa and some excited children, we put some delicious treats and wriggly things inside some presents and delivered them to the animals! The meerkats, otters and Diego the coati loved their crunchy insects and Alf the tapir had a ball with his vegetable feast! I’m sure they had a wonderful Christmas Day! Next Say Hello to our New Baby Potoroo!